Alzheimer's Disease is a disease of forgetfulness and memory loss but forgetting something does not mean that you will automatically have AD. There are certain tests and evaluations that you must do in order to differentiate between normal aging and AD. If you notice a decline in your memory, it reasonable to worry that you may be dealing with the early warning signs of Alzheimer's disease. Although this is a disease that will typically present in patients who are over the age of 65, there are rare cases of early-onset AD that can be more likely if you have a family history of the disease. In this article, we will explore some of the early steps you can take to help confirm or rule out a diagnosis of AD and give you an idea of what some of the tests will look like that you will have to take. 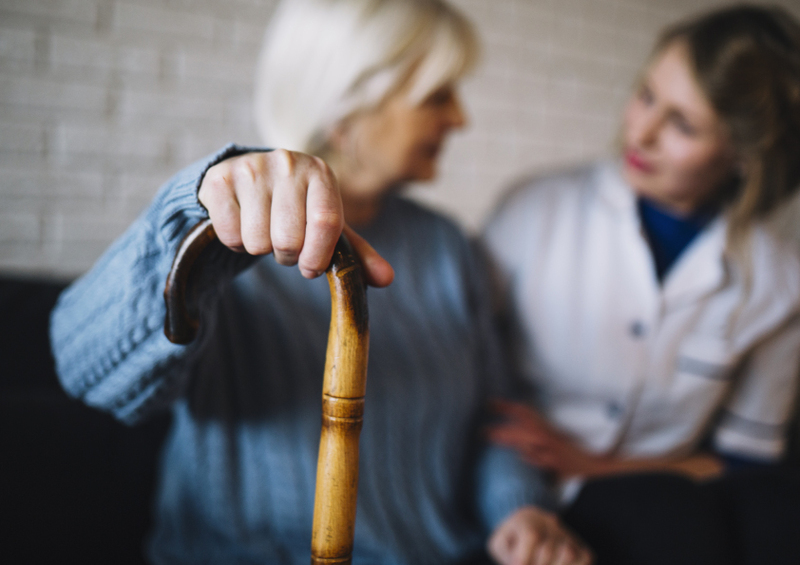 When it comes to Alzheimer's Disease, the general thought in medicine is the sooner therapy can begin, the better the prognosis of the patient. If you are already familiar with AD, you are well aware that there currently is no cure for Alzheimer's Disease. Patients that begin therapy at an earlier period, however, will be able to sustain the majority of their independence and keep their memory intact for a longer period of time. This can vastly improve the quality of life in these patients as well as lessen the stress that loved ones and caregivers will have to endure during the more severe stages of the disease. The first and hardest thing to do in diagnosing AD is to determine whether the decline in memory that manifests in something related to age or a disease process. It is no secret that as we age, it is likely that we will become more forgetful and have problems concentrating on seemingly simple tasks. Stress and a lack of sleep can worsen these symptoms but this does not command medical therapy by any stretch of the imagination. Alzheimer's Disease, however, is a more worrisome condition and the pathogenesis of what is occurring is something that can snowball into a disease that can greatly influence the quality of life of a patient. A patient who has experienced a recent decline in memory is wise to meet with their physician in order to have a professional assess the severity of their symptoms. What you can do is to try to have a documented account of what types of things you are having difficulty remembering and a rough timeline of when these symptoms first started appearing as something you noticed. Even a testimony of behavioral changes that you have noticed, or more likely your partner, can give better insight into what could be occurring. The last thing that you should also have prepared before your first visit to the doctor would be a list of medications and the frequency of the drugs that you take them at. Numerous medications on the market can alter memory and a doctor will be able to weed out these medications and inform you of the side effects. Now, you are ready to go to your doctor. The best place to start would be going to your neurologist. They will then decide what additional doctors may need to be consulted with in order to solve your case. This could include doctors like psychiatrists, psychologists and even geriatric specialists who have experience in assessing memory decline. This type of testing is designed to determine your ability to think, concentrate and remember. The standard type of testing that we use in medicine for this is called the Mini-Mental test but specialists will have a much more specific type of questioning in order to obtain this information. These tests can be thought of as simple tasks that someone without mental impairment can do without much effort. This could include things like drawing out a clock and indicating specifics, remembering a set of simple words like "dog" or "ball" after a few minutes of time or counting backward from 100 by 7s. These tasks may be difficult for some people on their own but doctors are able to distinguish between poor education and memory loss pretty easily. These would be tests best carried out under the supervision of a neurologist. Many other specialists are aware of these tests but do not have the experience to conduct and assess the results as well as a neurologist so insist that they do your testing. Muscle strength, balance and coordination are assessed in these types of examinations. You may be asked to do simple tasks like squeezing a doctor's hand, walking in a straight line or standing up from a chair without using your hands for support. As the brain becomes more and more damaged as plaques build up, difficulties with these simple neurological tests will begin to manifest. This is also another important component of an AD evaluation. A patient should meet with a psychiatrist in order to get a better assessment of the patient's mood. In many cases, family members will be invited to participate in this investigation so testimony from loved ones can be heard in order to reveal any behavioral changes a patient may not be aware of. This will also give the patient a chance to express their concerns and reveal potential underlying conditions like depression that could worsen concentration, memory or behavior but are reversible. Additional testing may also be required like brain imaging studies and blood testing in order to rule out other organic causes of the symptoms. A combination of all these steps can help diagnose AD early on so therapy can be started as soon as possible. Addisons Disease Chronic Pain who do u recommend ? What does pulmonary fibrosis means?